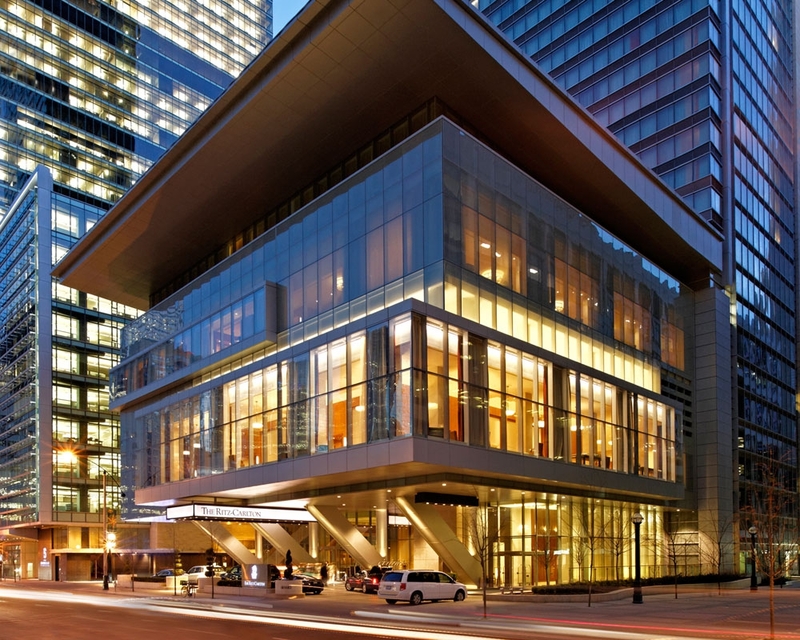 Ushering in a new level of luxury and architectural complexity on a surprisingly compact piece of land in downtown Toronto, The Ritz Carlton hotel, topped by The Residences at The Ritz Carlton, is now an icon on the city skyline. This 54-storey glass tower features a dramatic fanning out toward the south at the 26th floor, and is anchored by a five-storey glass podium that cantilevers 45 feet over the granite entrance drive—both marvels of post-tension technology. The uniqueness of the architecture, combined with the complex legal and servicing interaction of the hotel and residences, called for multi-faceted surveying services from Krcmar.